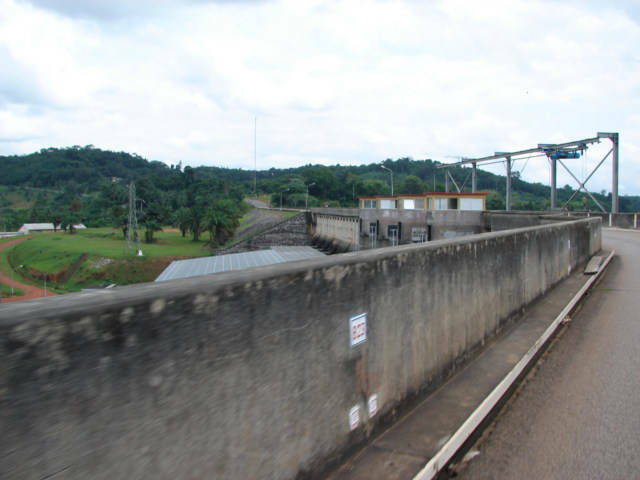 There is a smallish Hydro Electric dam in Ayame; I was not able to take good photos from the window of the taxi. However up to the right of this photo is some type of big vacation hotel. Not my idea of a vacation, more of a good place to go shag for a couple of days. Up on top of a hill, separated from the city, the view could be good, but only as a way to get totally isolated. There seems to be a cheaper hotel across from the gate to the big hotel, however a long walk to the hotel. A person should get off the station wagon Taxi the minute almost it crosses the dam like bridge to get a hotel in Ayame. There is a government ran hotel in Ayame, but I could not understand. Hydro Electric Dam maybe called a Barrage in French.